Today I'm going to be talking about all things hair. If there's one thing you should know about me, it's that my hair is like my child. It's probably the thing I'm bothered the most about when it comes to my appearance. I used to have really long hair, but then I got it chopped off and I started to heat style it a lot. It lost a lot of it's strength and now I have very fine, very thin hair. I've been looking to try out a new shampoo and conditioner for a while now. I wanted something that would leave my hair in good condition and feeling a lot stronger. However, I've never been able to find anything, there's nothing that's good enough for me to use and everything I have tried has left my hair feeling sticky or just hasn't worked. That is until I was introduced to the Garnier Ultimate Blends range. My friends have raved about this collection for such a long time, but I've always been hesitant to try it as I thought the natural products would make my hair look greasy. Recently, they've been on offer in Superdrug so I decided to purchase some and give them a try. I bought the 'Strength Restorer' shampoo and conditioner 'Honey Treasures'. It's made for fragile hair which is prone to breakage, perfect for me! It also contains royal jelly and honey propolis which helps to strengthen hair and leave it soft and smooth. I can truly say that this is now my favourite range of hair care products at the moment. The shampoo and conditioner smell absolutely gorgeous, I've actually had people complimenting on the smell of my hair which is really nice. After the application of the conditioner, your hair feels so silky soft and smooth, and then when you blow dry it, it looks so shiny and healthy. It also made my hair a lot more manageable when it came to styling too which was a huge bonus! 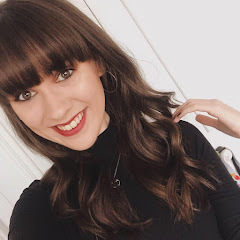 As for the strength and condition of my hair; I didn't really notice much of a change within the first few days of using it, however, after two weeks of using the products, my hair feels a lot stronger and in really good condition. It's reduced the appearance of my split ends and my hair just feels a lot healthier so overall, I'm really really happy. 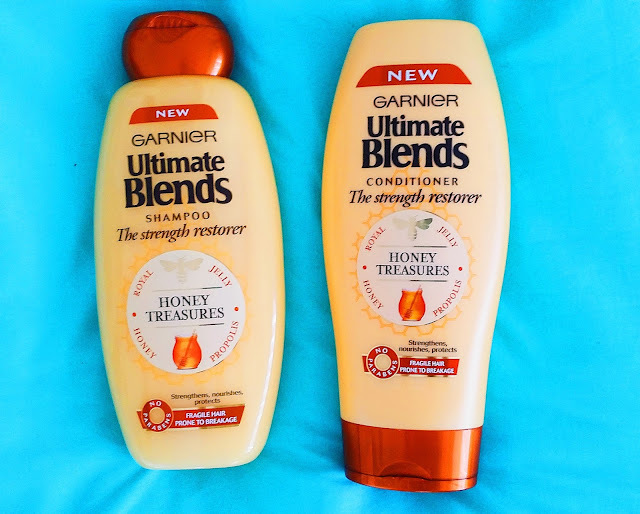 The Garnier Ultimate Blends Collection do a lot more products for all different types of hair and if you're looking to change your hair care routine a little bit, then I would definitely recommend trying these out because they are AMAZING!